I have shown our Squirtle and Charizard costumes. Now it’s time to show off the other two Pokemon. We couldn’t do Pokemon without having the mail one, Pikachu. And he is the cutest Pikachu ever! Seriously, he’s so cute! This costume turned out better than I hoped and he tolerated the hood for about 10 seconds, long enough to get a picture, so I was happy. Taking pictures of an 18 month old isn’t the isn’t. 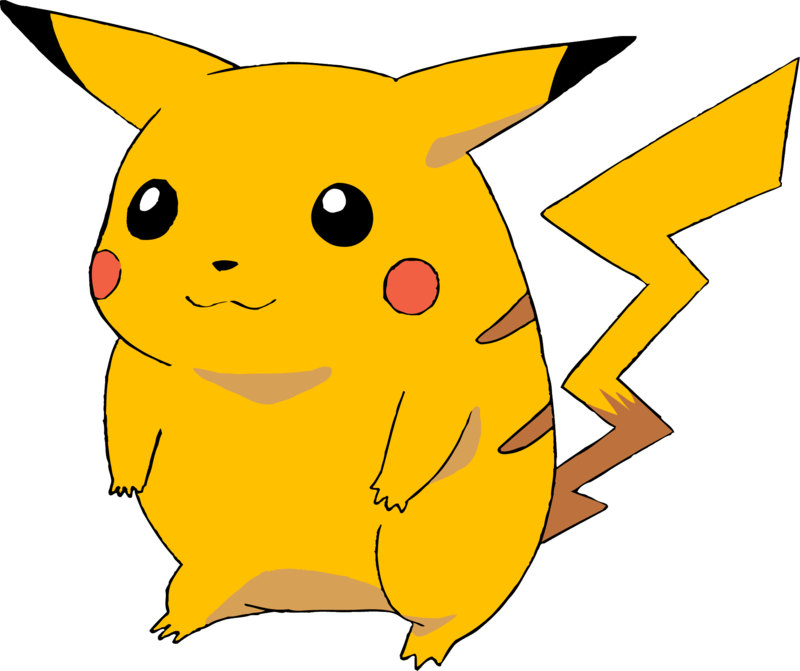 Here is a picture of Pikachu. Here is the finished costume. I just made a shirt and pants out of fleece and then added a hood and tail. I sewed the brown stripes onto the yellow fleece before I sewed it together. For the ears, I sewed two pieces of fleece together on three sides, filled it with batting and then using a needle and thread sewed it onto the hood. For the face, I glued felt onto the hood. For the tail, I drew out the lightning bolt shape and then cut out two pieces. I sewed them together and then flipped them inside out, filled it with battling and then sewed it onto the back of the shirt. And that’s it!! Isn’t it so cute?? I LOVE it on him and I can’t wait to take him out treat or tricking this weekend. This will be the way that he will wear it most of the time. But that’s okay, he’s still cute.